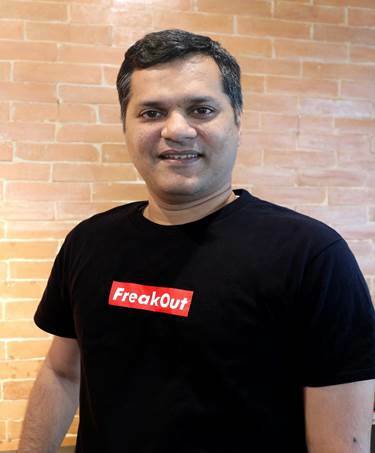 FreakOut Holdings, inc. (Head office: Minato-ku, Tokyo, Global CEO: Yuzuru Honda), Japanese adtech leader, announced the appointment of Narayan Murthy Ivaturi as VP India and South East Asia. In this role, he will be spearheading thebusiness operations in India and South East Asia and will be responsible for liaising with group companies in terms of strategic partnerships, product integration and development. With over 15 years of experience in leading businesses across verticals such as Advertising, Media Planning, Media Sales, Business Development, Mobile, Ecommerce, etc., Narayan will bring in his diverse expertise to FreakOut Holdings, inc with an objective to sustain quality services in the long run. Prior to this role, Narayan was with WPP - Mindshare as Head of Mobile APAC based in Singapore where he was the Business Head of the Mobile and New Technology mandate. He also served as Head of Global Revenue at Vserv, a Global Mobile Marketing Platform based in Mumbai. He was also a part of leading global digital service providers and headed different revenue roles. With an aim to be known as Mobile Native Advertising Company in both India and Southeast Asia, Freakout Global has a special focus in the region as both India and SEA play a very strategic role to the growth ambitions of the company. Narayan is expected to drive the overall programmatic mandate in order to expand the business horizons with new products and geos. "It is our pleasure to welcome Narayan onboard as VP in India and SEA market. He brings in a rich experience of working with various agency partners and clients and with his collective knowledge we are positive that he will play an instrumental role in helping us reach our goal of becoming one of the most sought-after media companies in Asia.”said Tomohiro Yasukura, Global COO, FreakOut Holdings, inc.
Freakout is one of Japan's largest ad-tech company which started the DSP business in 2010 and later expanded into the DMP and Native Advertising businesses, all three offerings being the largest in Japan.